Burlap Media’s WEAVE program exists to do the heavy lifting of keeping your church's Facebook account active with engaging, professional content. We post daily updates to your page as a way to demonstrate that your doors are open and your church is alive. There is no long-term commitment; Start and stop this service at your convenience. Six days a week your community will see professional and uplifting posts from your page. Every day, Monday - Saturday! Seventy percent of Americans use social media for everything from reading the news, to communicating with one another. For churches, your sites — like your Facebook church page - may be the first place new people find the church. 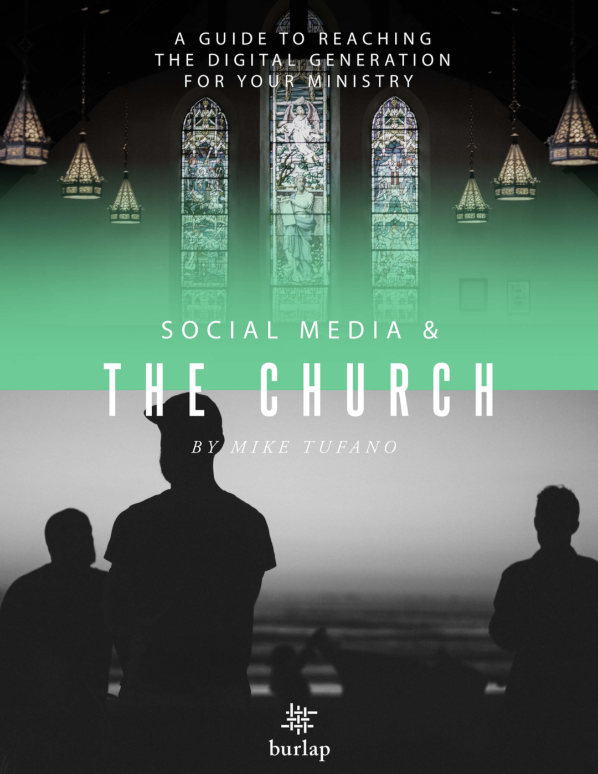 In Social Media & The Church, we share with you how to organize a social media team, how to get started with a strategy, and offer do’s and don’t to maximize your efforts. And if you need help extending your strategy, we can help with that, too! How do you post things to my church account? Once you join the program, we will send a request to your church's Facebook page asking permission to create posts for you. Will I see what you are going to post before you post it? Yes. We will always send an editorial calendar showing what we are going to post and when. What if I don't like one of the posts? Can you switch it out for something different? Burlap seeks to serve every member of the diverse body of Christ. We realize that there could be a variety of reasons apart from doctrinal or theological disagreement that a post might not "work" for any given church we serve. If you find this to be the case, we encourage you to manually remove the post after it is published. We indicate the times posts will be published in order to facilitate this action should you need to take it. Here are some samples of the kinds of posts you will see. So can I just ignore my social media accounts once you are handling everything? You will certainly have minimal need to deal with your social accounts, but you should check your Facebook notifications in case someone responds to one of your posts. For the standard and premium tiers of service, we will address minor feedback on your posts and alert you if there is a question or comment that needs your personal attention. What if my church doesn't already have a Facebook page? Can you post to Twitter and Instagram for me? Have another question that is not answered here? Contact us.